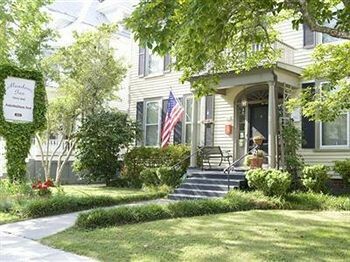 Property Location Meadows Inn Bed & Breakfast is centrally located in New Bern, walking distance from Pepsi Museum and close to New Bern Firemen&apos;s Museum. This bed & breakfast is within the vicinity of Tryon Palace and Northwest Creek Marina.Rooms Make yourself at home in one of the 8 air-conditioned guestrooms. Complimentary wireless Internet access keeps you connected, and cable programming is available for your entertainment. Bathrooms have bathtubs and designer toiletries.Rec, Spa, Premium Amenities Make use of convenient amenities such as concierge services, wedding services, and a television in the lobby.Dining A complimentary full breakfast is included.Business, Other Amenities Featured amenities include a computer station and coffee/tea in the lobby. This bed & breakfast has 2 meeting rooms available for events.